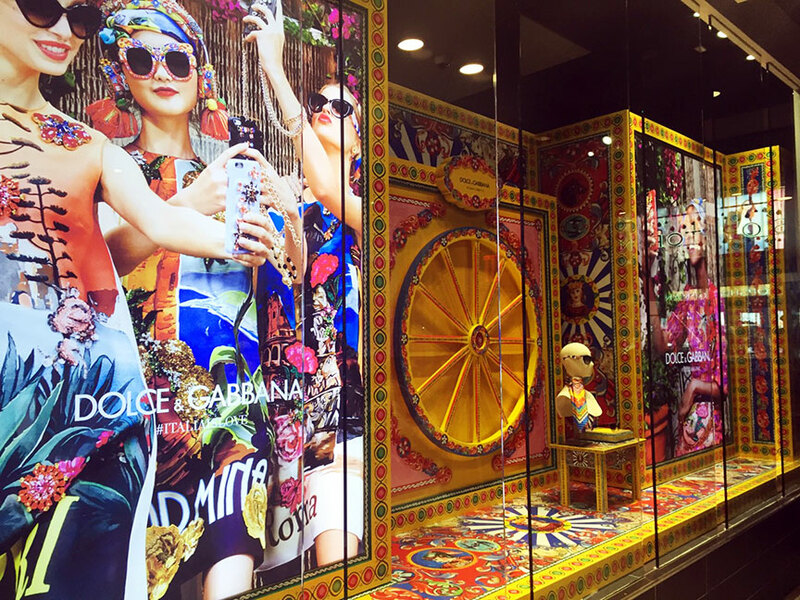 Dolce & Gabbana pulled out all the stops in their gypsy caravan fantasy in the 5th Avenue flagship store. 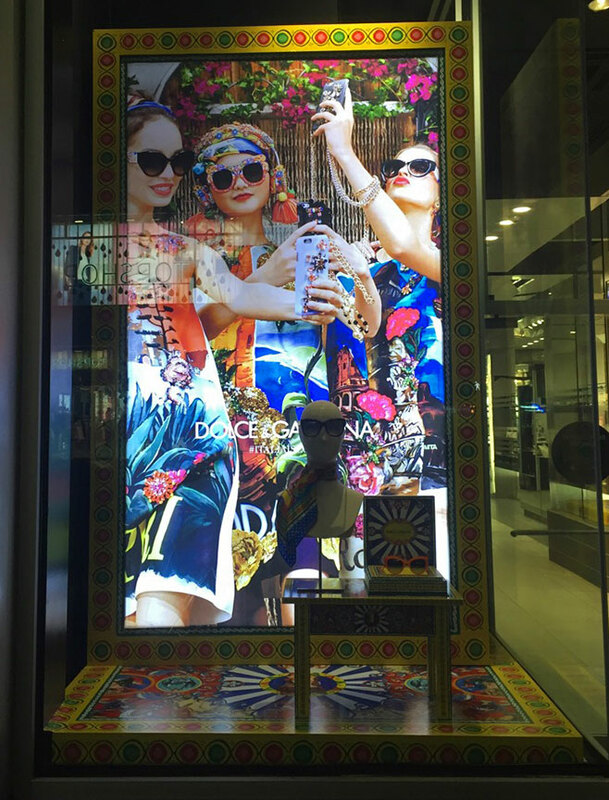 Large walls and floors are completely covered in colorful graphics, including large format back-lit graphics and video towers. The cartwheels that you see in the images are motorized and actually rotate!